So you think you are prepared to move & exhilarated regarding your new house, only to realise that the old home won’t allow you to move that quickly? After years of living in an apartment or house, we often forget that dirt & debris have piled up while we overlooked it or kept putting it off. If you’re a renter and don’t clean your rental property when leaving it, you may lose the security deposit that you had made when you moved in. Landlords these days are pretty quick to claim that deposit if a single inch of the property isn’t in mint condition. This is where Glory Clean’s professional move out cleaning in Ealing W5 comes to rescue. We can work with you to meet any special request you might have, so don’t hesitate to converse your needs to the professional team of cleaners we send to you. We can make sure that your next moving experience will be great thanks to our professional cleaners who are ready to accommodate any special move out cleaning request you might have. 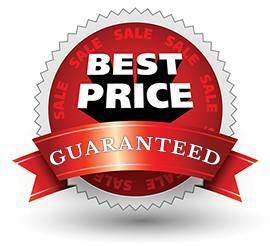 We welcome your valuable feedback & proudly offer a 100 per cent satisfaction guarantee.